Since the release of my book, DEADLY LULLABY, some family members and friends have said, “Too bad I don’t have a Kindle”. No excuse! You do not need one. All you need is an eReader app. Most eReader apps are compatible with multiple device types: Apple iPhone, iPad, notebook, etc. ; Android phones and tablets (e.g., Google, Asus, Samsung, LG, etc. ); and Windows phones, tablets, laptops, desktops. If your excuse for not buying DEADLY LULLABY is only because you are waiting for the hardback or paperback to come out (so you can pay the higher price), I appreciate that you are willing to wait and willing to pay more. However, you can help make a paper version of my book DEADLY LULLABY a reality sooner by helping to increase the eBook sales of my book now — and, for goodnesssakes, the download is only $2.99. Moreover, even if you have never before downloaded an eBook, I am making it super easy for you to do. My wife has gone to the trouble of locating the eReader apps available for most types of devices. Below, I have listed the device type followed by the multiple versions of eReaders for each device type. Each eReader app in blue font has an embedded hyberlink that you can click to go straight to the eReader store to download that app FOR FREE. All you need to do is choose the eReader of your preference from the list of devices and apps below. ♥ iPhone, iPad, MAC devices — iBook is pre-installed. Also available from the App Store: Kindle app for iPhone; Barnes & Noble Nook for iPhone; eBooks Reader for iPhone; Kobo for iPhone; Goodreads for iPhone; GooglePlay for iPhone. ♥ Android devices (Google, Samsung, LG, etc.) — Google Play Books is often pre-installed. Also available from Google Play: Kindle app for Android; Barnes & Noble Nook for Android; Kobo for Android; Nook for Samsung Galaxy Tab; FBReader for Samsung. And I’ll bet that most of you will find that you have one of these eReader apps on your phone or tablet already. If so, and unless you want a different eReader than the one pre-installed on your device, your next step is to click here to go to the Order page and then click on the logo that matches the app on your device. 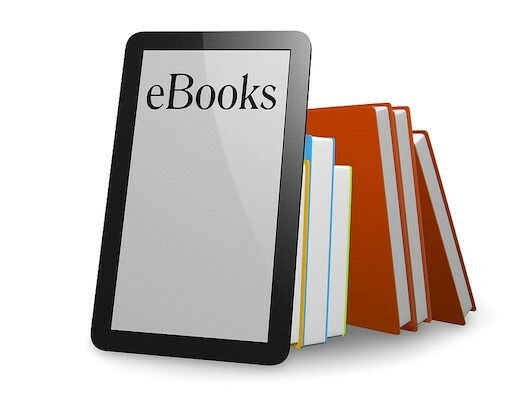 You will be taken directly to the eBook order page that corresponds to your eReader app. Download DEADLY LULLABY today for only $2.99! A new 5-star review was posted on Goodreads over the weekend for Robert McClure’s new crime fiction novel Deadly Lullaby. The reviewer, who has over 750 book reviews to his credit, writes: “I thoroughly enjoyed this book. It was fast paced and the characters and story line made for a quick read as well. . . . Leo feels pressure from his boss and from his past that he has been avoiding with his father and though Babe wants to talk about it Leo keeps putting it off. This all comes to a head at the end for a very dramatic ending, but I would not have it any other way. . . . A great book, with good characters and a story that keeps going all the way to the end.” To read the full review posted on October 17, 2015 by P.e. on Goodreads, click here. 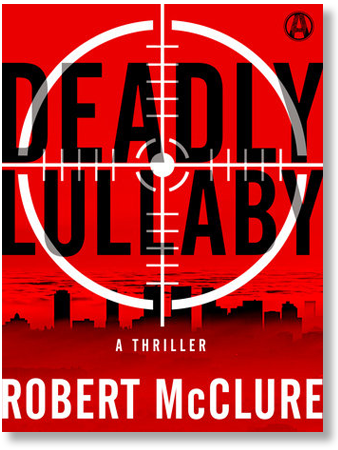 Deadly Lullaby by Robert McClure was released as a digital eBook by Penguin-Random House and its division, Alibi, on September 29, 2015. You can download the novel to the iBooks app on your iPhone or iPad or to your Amazon Kindle device or to a Kindle app on any device. The Amazon Kindle app is available for IOS devices from the Apple App Store and is available for Android devices from Google Play. Download it today for only $2.99! Babe Crucci says get your autograph from my creator, Robert McClure, author of Deadly Lullaby, today! To request an autograph, click here or on the Authorgraph image in this post. If you want to request an autograph later, just return to Robert McClure’s website, http://www.robertmcclure.net and look for the Authorgraph image on the sidebar of most any page (for desktops and laptops) or at the bottom of any webpage viewed with a tablet or smart phone. You will have the option to write a message to the author and can request a personalized autograph from “Babe Crucci”, “Leo Crucci” or from Robert McClure, the author of Deadly Lullaby. 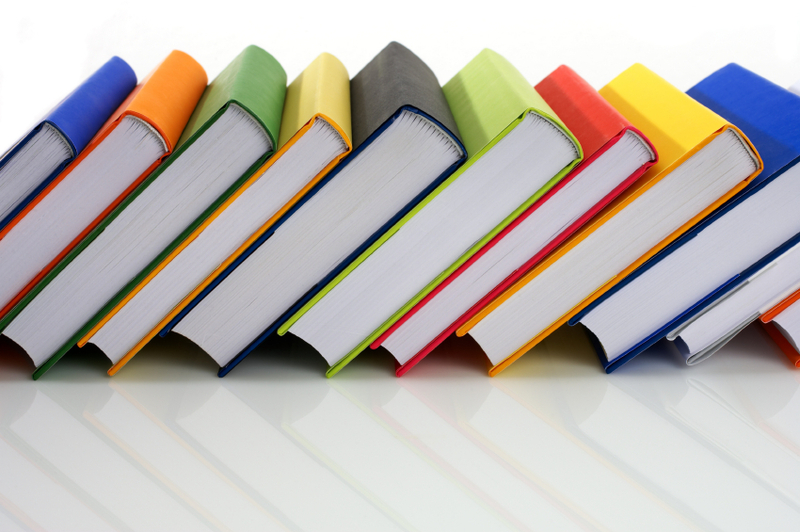 Authorgraph is intended to work with multiple eReaders. Our testing of it has only been with Kindle (the device or the app) and with iBooks on iPhone. If you have a Kindle, your signed Authorgraph can be downloaded directly into your Kindle or your Kindle app. You also may choose the option to save a PDF image of the Authorgraph autograph to the data storage or memory in your computer or other device. If you would like additional information about the Authorgraph autograph process, we spell it all out for you in a previous blog post: click here. If you read most of your books on an eReader, you may collect the autographs of most authors on your Kindle device. We show you how in our previous post: Click here and scroll to “Create a Collection”. Hey, it’s Babe Crucci here. Connie Leonard of WAVE3 News in the Derby City interviewed my creator, the author of the book I star in, titled Deadly Lullaby. You can see the whole flipping interview by clicking here. “Robert Darrell Bubba Mac Bob McClure” (the author has a lot of aliases doesn’t he) tells Leonard that I’m a career hitman. Yeah, that’s right, but I only whack really bad guys. The story begins with me getting out of San Quentin. I’d really like to leave my life of crime behind, and more than anything, I want to reunite with my son, Leo. Poor kid. I was in the clink during most of Leo’s formative years. Guess that’s why he’s a police detective now, with the LAPD. 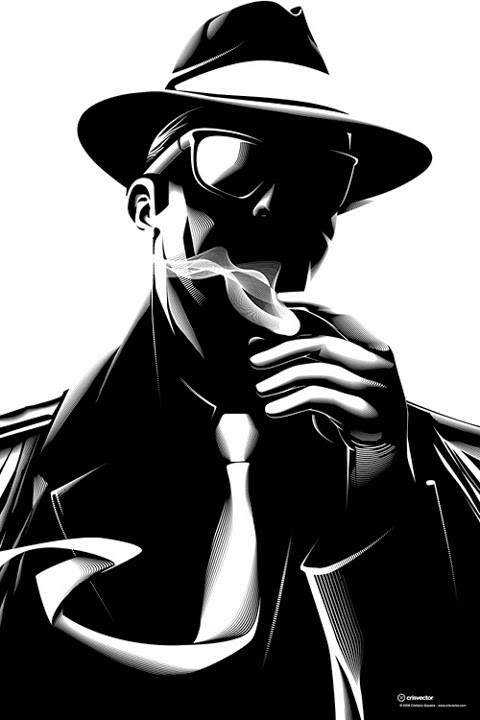 So you know our reunion will be a challenge — there are gonna be a lot of bumps in the road, involving crime lords, thugs and more than a few corpses. We will have to come to terms with the ghosts of our past to see this through. It’s a father-son story, but you won’t need a box of tissues to get through it. What you will need is preparation — be prepared to for a lot of twists and turns. I hear many readers say that they just cannot put the book down until they reach the end. It must be good — some French dude loved the story enough to ask “Robert Darrell Bubba Mac Bob McClure” to write another one about me. He’s writing The Slow Dawn, the follow-up to Deadly Lullaby right now (unless you’re reading this post during a certain college or pro football game — some things take precedence over keeping my felonious character in action I guess – a man has to have his hobbies). For the full excerpt, click here. Thanks to Cara “Bunny” Correnti for featuring Deadly Lullaby! To read the advance praise given to Deadly Lullaby by other published authors as well as the Editor of Best American Mystery Stories, click here. 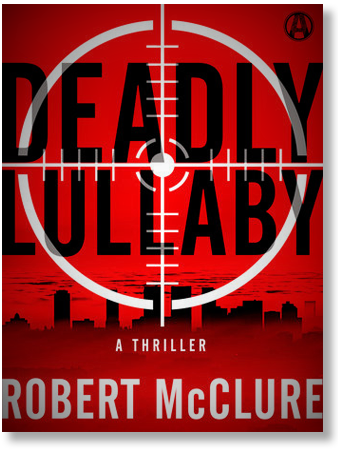 Robert McClure, author of Deadly Lullaby, is on the return trip from Bouchercon 2015, the world’s largest crime fiction conference, held this year in Raleigh, North Carolina. McClure views this year’s Bouchercon conference as his most enjoyable yet. The highlights included special sessions that Bouchercon planners arranged for new authors to introduce themselves and their book to hundreds of crime fiction fans. One such session, called “Speed Dating”, allowed authors to personally interact with 90 crime fiction fans, six at a time over a 2-hour period. McClure was gratified to meet one of his new fans after that session, when the fan recognized him the next day in the conference hotel’s elevator. After telling McClure in the midst of others on the elevator how much she liked Deadly Lullaby, she whipped out a black Sharpie pen and asked him to autograph the back of her metallic eReader. This gal now has the very first in-person autograph by Robert McClure — we hope it’s worth something someday! McClure also met up with Robert Pepin, the editor and French translator of Deadly Lullaby, in preparation for publication by Calmann-Levy in France in hardback, paperback and digital in 2016. 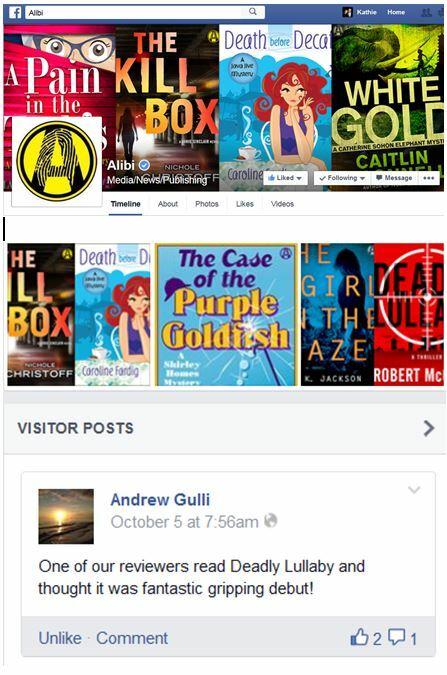 More to come about this and other highlights from McClure’s ventures at Bouchercon 2015 after he returns home. Stay tuned! McClure talks about the day his wife insisted he quit his busy law practice for a little while to focus on his fiction writing. He met success not long afterward with publication of his first short story. This was followed by other short stories that eventually led to novel writing. In the interview, McClure describes the different challenge posed by novel writing. ♥ Literary Musings, which also interviewed McClure where he talks about where he gets his ideas, which he described to his daughter’s first grade class shortly after publication of Harlan’s Salvation in 2004, which was later recognized by Best American Mystery Stories 2005 (click here).